Weaving together natural history and investigative reporting with mythological and cultural material, On Rare Birds tells the compelling stories of ten rare or extinct bird species - from the tragic demise of the once-abundant Passenger Pigeon to the shooting death of the last Carolina Parakeet in the wild, and from the startling natural defences of the wilful Nightjar to the diverse cultural significance of the Kingfisher. Some stories bear sad witness to precious species we have lost, but they are all fascinating and often heartwarming or humorous depictions of the unique lives and loves of birds. On Rare Birds is a visually stunning volume illustrated by author Anita Albus's own superb artwork and by images ranging over five centuries. 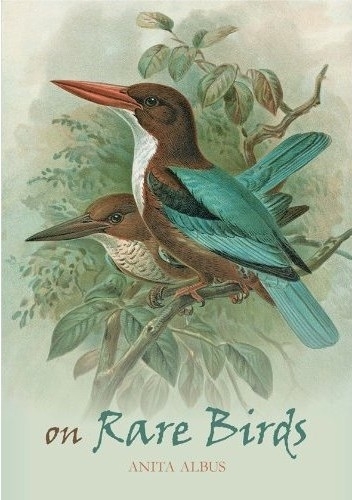 It will delight anyone who loves birds, laments the depletion of their populations by human hands, and cares about the survival of those species that still stand a chance. With knowledge, devotion, and a true artist's eye, Albus explains in graceful, precise prose why the decline of these bird species is a great loss both to the natural world and, unavoidably, to culture. With each species lost, a world is lost to human understanding-to our arts, our mythology, and our environment.